Mankind has always had a strong desire to to find newer, better ways to get from one place to another, which has created a near-universal fascination with transportation. However, this trend did not stop when once humans found efficient ways to get around; far from it, in fact: With technology and innovation coming together in a modern age, what was once an impossible dream is now becoming reality. While flying cars may seem like the stuff that 1980s cartoons were made of, they actually are coming into existence. Slated for release by the 2020 Summer Olympics, the Japanese are working non-stop to turn this fantastical concept into one that will reduce traffic congestion, speed up commutes and serve as an efficient way for getting around. Whether the company will achieve its goal is such a short time remains to be seen, but doing so would undoubtedly decrease many of the traffic issues that Tokyo already faces. The simplicity and convenience of locating and requesting an Uber from a smartphone is one that transportation-savvy city dwellers have been using for quite some time, although some Pittsburgh riders are now doing it without the driver. While definitely not yet the norm, Uber has launched a pilot program to test the real-world feasibility of the concept. However, riders can relax; a safety supervisor is on-board to ensure that the ride goes smoothly. While the concept of automated parking is certainly not new, it may not be glamorous enough to be well-understood by the vast majority of drivers. 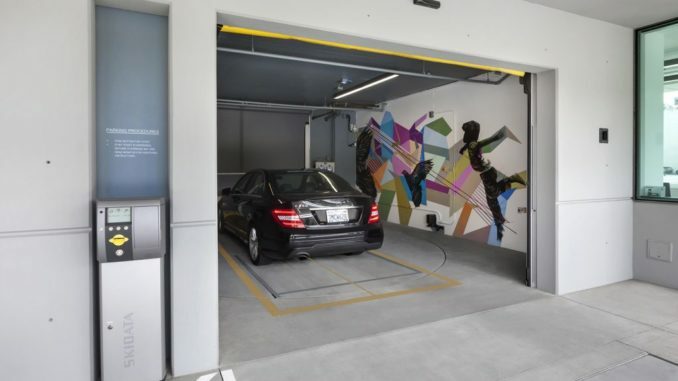 An automated parking garage parks automobiles using a mechanical system that allows vehicles to be vertically stacked in a parking structure. The first automated parking system was put into use in 1905, although they have undoubtedly been refined a great deal since that time. The current transportation climate in the United States and around the globe is expensive, environmentally unfriendly and not entirely safe. However, because of a worldwide obsession with improving how seniors, working adults, schoolchildren and everyone in between get to the places that they need to go, it seems likely that many of the transportation issues that plague the modern world will soon be eradicated and replaced with a more efficient means of getting to and from daily activities.